What are you doing for this year’s Green Apple Day of Service? With the beginning of the school year approaching, it’s time to set goals and priorities. Among the many goals you’re sure to make is creating a more sustainable and healthy learning environment with a Green Apple project, which can happen on any date that works for your school. Green Apple Day of Service is about making the biggest impact possible in schools and measuring the change. Creating and leading an effective project can be simple, inexpensive and easily organized. In fact, many of the most impactful projects are student-led, receive funding and materials from the community and involve the whole school. The following three 2017–2018 Green Apple projects exemplify making a meaningful impact—these few projects alone made a difference for more than 1,500 students. We think they’re the inspiration needed to start this school year greener. Cordova Middle School students recognized the link between vehicle exhaust and the significant population of people living with asthma in their area. To address these health issues, the students led an anti-idling campaign around the school to reduce the exposure to vehicle exhaust that is inevitably created from student pickup and drop-off car lanes. The students educated their community on the dangers of vehicle exhaust and benefits of simply turning cars off while waiting. 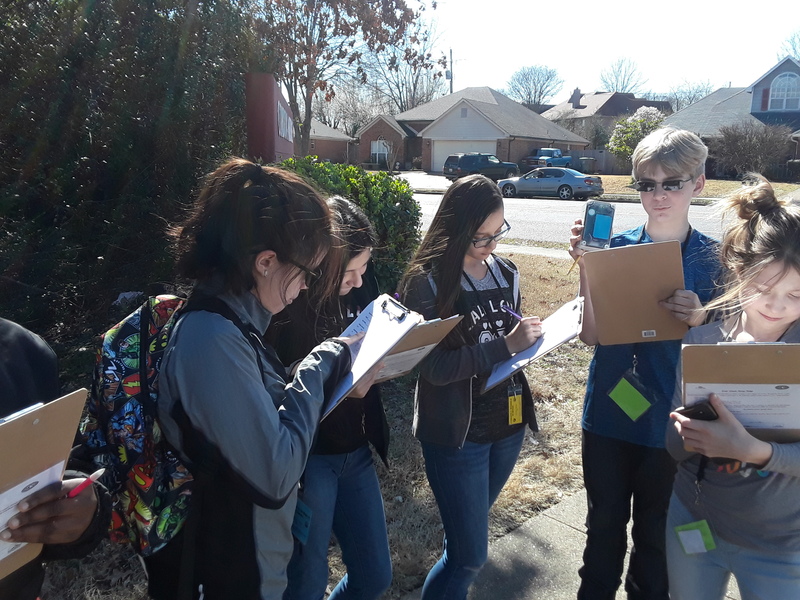 Using donated personal air monitoring devices, students tracked air emissions around the school to measure the effectiveness of the campaign. The results showed significant decreases in carbon dioxide and carbon monoxide, and the students are continuing their campaign to lower those toxins even further. Thinking about a gardening project for this year’s Green Apple? Take it one step further and incorporate composting and recycling, like Ocean Bay Elementary did last year. 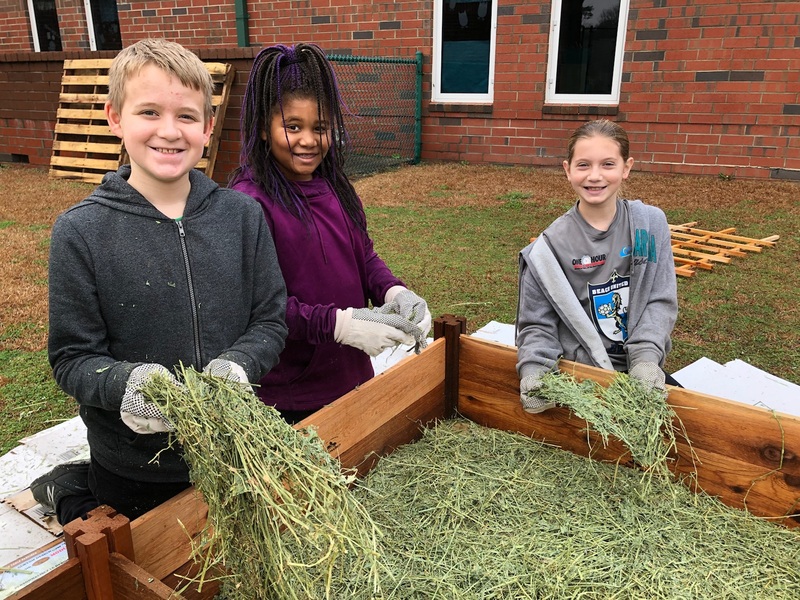 With the community's help, the school built raised planter beds for every grade level, while also giving the responsibility of the garden’s care and upkeep to the students. The project created a use for the organic waste produced by the school. With the new garden, students will see the benefits of separating their waste and composting organic materials. Additionally, with the care of the garden falling directly on the students, outdoor education programs and curriculum become a priority, which has been shown to provide emotional, social and educational benefits to the students. Find resources and guidance on how to create a school garden or a recycling and compost program at your school. At Common Ground High School, students met with sustainability professionals to cultivate student inspiration for and understanding of green career paths. Students met with 12 different types of sustainability professionals, for 10 minutes each, to discuss the work and education of that professional. Inspired by their visitors' dedication to making the world a better place, the students left the program encouraged and focused on a sustainable future. This project was supported by Common Ground’s local green building council. However, if you’re feeling inspired to create your own "speed-greening" project and can’t find local professionals through your USGBC community, then check out Nepris to connect your students with sustainability professionals remotely. Start thinking of how you’re going to make an impact at your own school this year with Green Apple Day of Service, and keep an eye out for more Green Apple updates.